Andy Thelen joined The Woodmont Company as the Financial Analyst for the development team. He is primarily responsible for the creation of proformas, locating new redevelopment opportunities, and assisting the development team in their portfolio of projects. Andy is a recent graduate from Texas Christian University with a Bachelor of Arts in Finance in Real Estate. 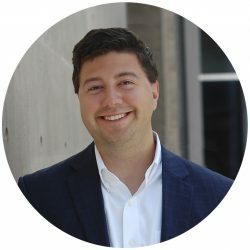 He has experience in all aspects of real estate from working with companies such as N3 Development, Sperry Van Ness, GM Financial, and Birmingham Investments.